Chloë is a late stand in for one of tonight’s regulars. 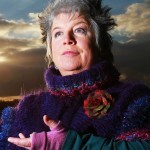 She’s NOT a poet but is known for lyrical language – even when telling Tales of Love, Lust & Chocolate. Stories from her album include colourful romance, black and white truth bending and of course chocolate with a twist! Spicy, bittersweet and brimming with giggles. Oh Crumbs! 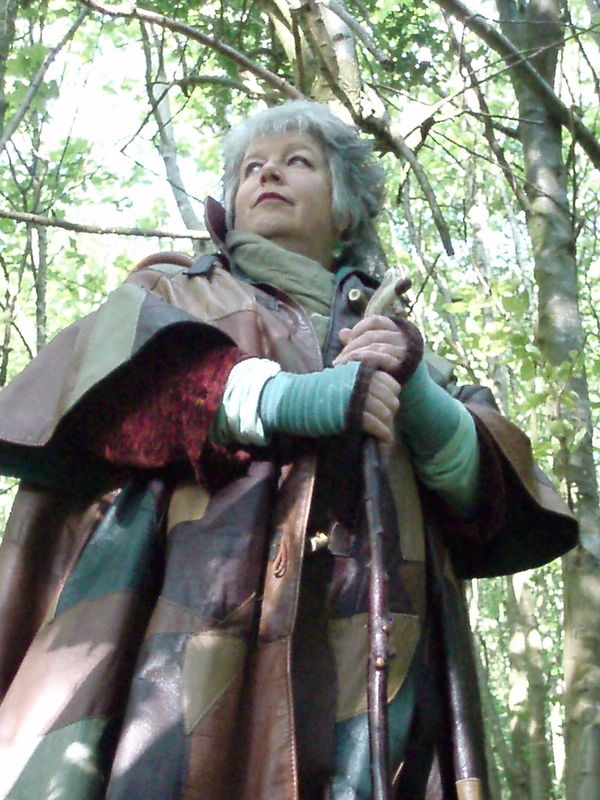 is the Forest’s monthly spoken word night. A tasty mix of poetry + stories in a cosy comfy setting. 🍰 Entry £5 includes cake. SORRY – EVENT CANCELLED by venue. 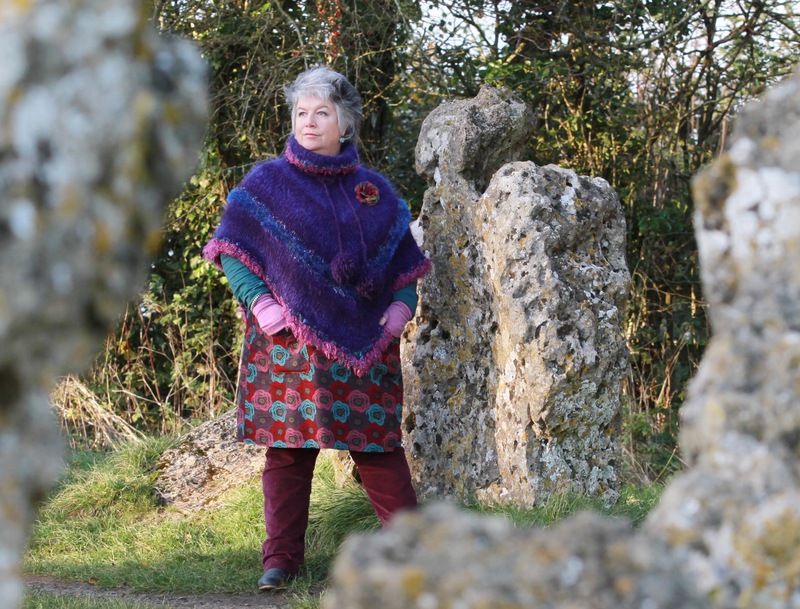 26th – Tales of Love & Trickery for Astley WI, Worcestershire. Chloë presents darkly delicious Story Cabaret bursting with bittersweet love and dangerous desires. Fuelled by traditional story, flirting with contemporary and original tales, fabulously funny and hot off the tongue unscripted. 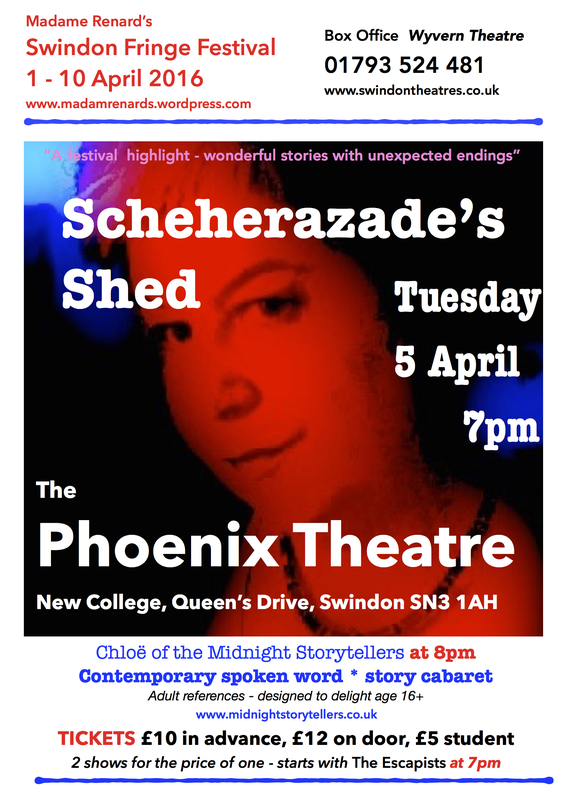 🍫 Swindon Fringe treats audiences to two shows per event: tonight’s partner is The Interlinear of Cabeza de Vaca – the true story of a conquistador shipwrecked in 1528. Featuring Chloë’s signature piece The Legend of the Rollright Stones, tonight’s set ranges from beautiful heartbreak on the Isle of Barra to dark magic in Wales and an English king brought to sharp justice. Rooted in tradition, vivid with fresh twists. Packed with luscious language, dark humour and full blooded romance. 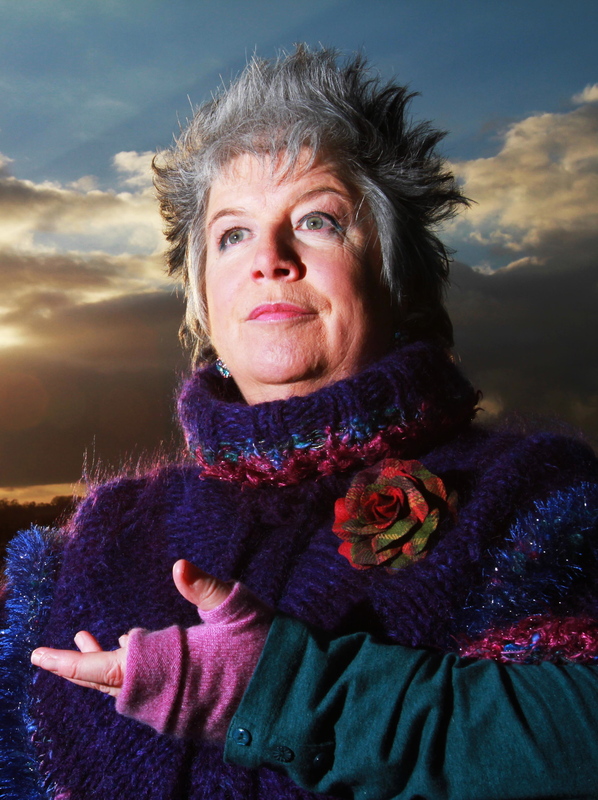 Birmingham Storytelling Café is a thriving showcase for UK storytelling. A storymaking project for a charity which supports people with depression / anxiety. 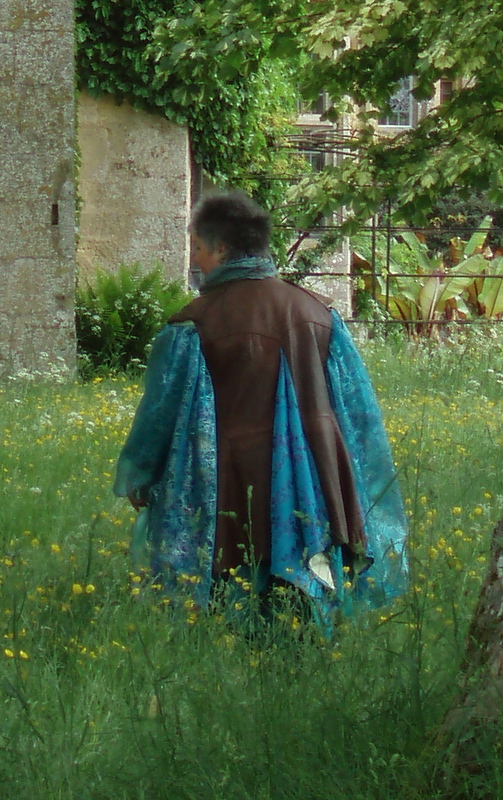 After a couple of playful workshops that introduced key storytelling skills, I invited participants to imagine their own inner, hidden hero: the opposite of what they felt doesn’t work well for them currently in the everyday world. Part of Cheltenham Poetry Festival 2018. Masterclass in the Care & Training of Dragons inc Q+A, guided story making and hatchling care plan. 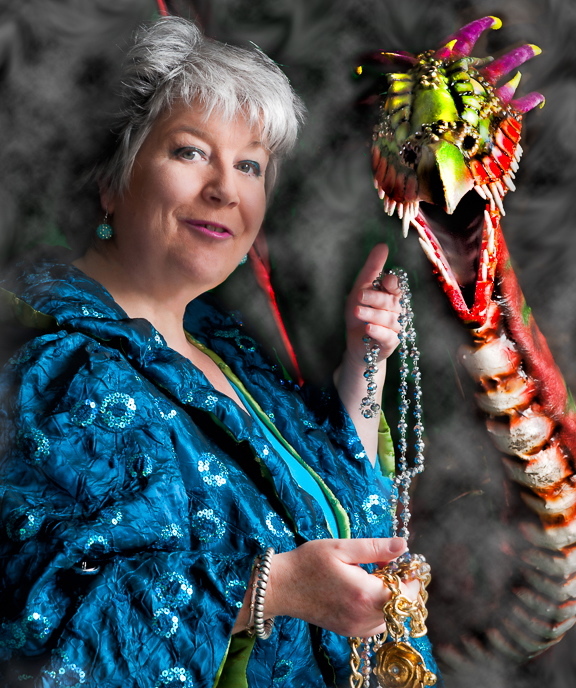 The Dragon Whisperer is back – and she’s bringing a friend! – Behind the scholarly glasses is Kirsty Hartsiotis: storyteller, writer and real life museum keeper! 4pm DRAGON TRACKING & SURVIVAL with Agent Green. Including the alleged truth about George the dragon slayer. Plus survival techniques and practical dragon management. 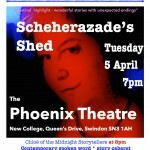 * 8pm Chloë of the Midnight Storytellers presents Scheherazade’s Shed – a one woman riot of luscious language, giggles and unexpected endings. Literary horror, true life tales and magical realism. 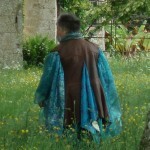 A new storytelling persona appears this year at Sudeley Castle. 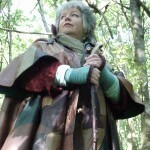 Say hello to Nightshade, Wise Woman of the Woods – a bit scruffy, runs on tea, can move unseen + unheard, and tells spinetingling tales of forest and jungle, Secret Tales of Britain and much more! 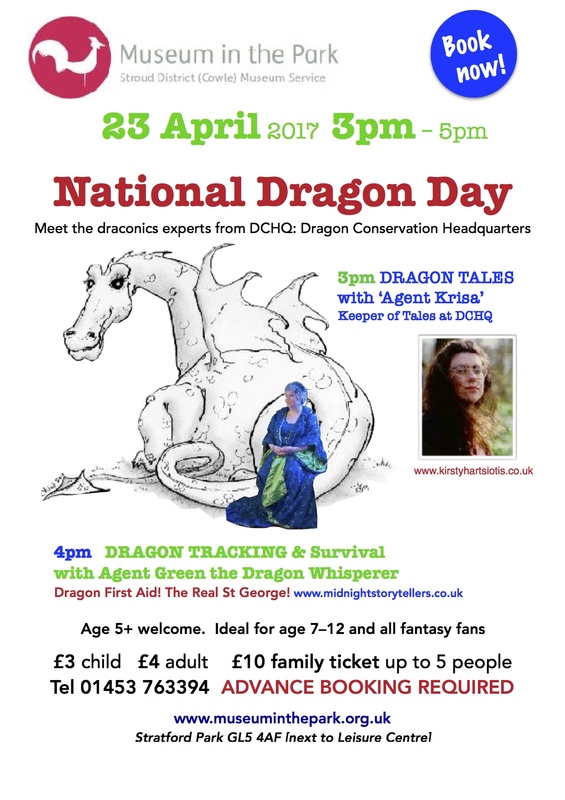 Saturday 30th 1pm–3pm Dragon Tales stories + Dragon Doodling workshop + Instant Tales improvisation! 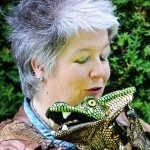 * Fantastic FREE events with Agent Green the Dragon Whisperer on a very fast flying visit. Chloë gives readings from Kenneth Grahame’s beloved classic The Wind in the Willows, as part of the launch event for the new children’s attraction Lost in the Willows. 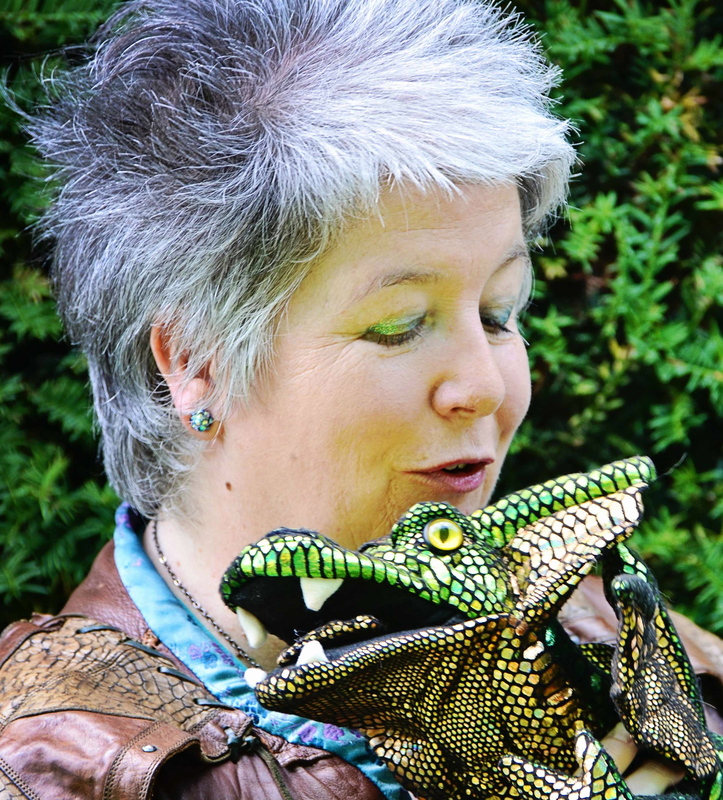 Agent Green is Dragon Whisperer in Residence at Sudeley this year! 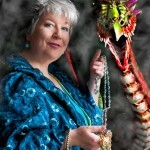 Her mission now includes teaching YOU how to find and save the world’s last dragons! Cheltenham Poetry Festival 2013: Chloë offers tricks of the spoken word trade to help poets be clear and confident when reading to an audience. 6th – A Child’s World of Story at Lydney Library + NEW Coleford Library in the Forest of Dean (Gloucestershire). Chloë entertains ages 6 – 12 AND their grown-ups with amazing tales from around the world. With silver dancing drum + singing bowl.